Melbourne is a popular spot for drinking and nightlife but what if you have little ones to cater to? Anyone with children will know that keeping them entertained all of the time can be somewhat of a challenge to say the least. Luckily, Melbourne is the perfect place for that. Voted the most liveable city in the world, it has no shortage of activities and adventures that are suited to children of all ages. To give you some inspiration, we have compiled a list of the best kid-friendly activities in Melbourne. 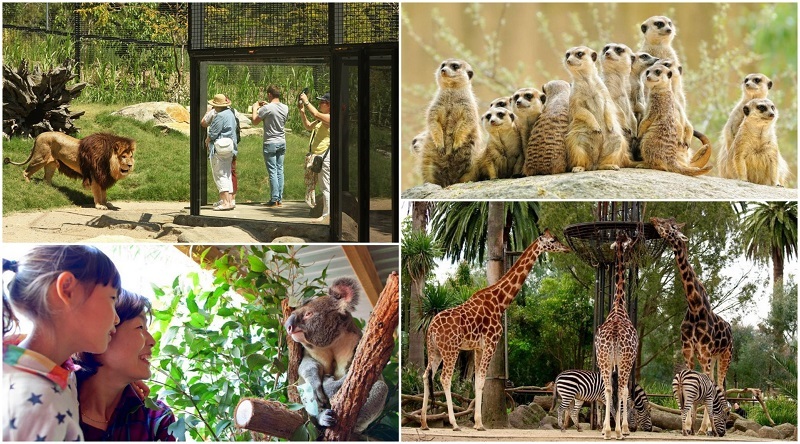 Just a few minutes from the city centre, discover more than 300 wildlife species at Melbourne Zoo. See orang-utans, elephants and Sumatran Tigers as well as Australian animals including kangaroos, wombats, emus, and (of course) koalas! Your kids can also explore underwater environments with Australian Fur Seals and Victoria’s very own Little Penguins. Learn more about the animals at talks and feeding times with the zoo keepers. What animal attractions will your kids see at Melbourne Zoo? Orang-utan Sanctuary – See the orang-utans climb, swing and feed up in the treetops with a wander along the elevated boardwalk. Lion Gorge – See three male lions roam an African landscape, as well as the Philippines Crocodile, the world’s most endangered crocodilian species. Wild Sea – Explore Victoria’s coastal and ocean habitats in Melbourne Zoo’s largest exhibit featuring penguins and seals. Trail of the Elephants – Home to Melbourne Zoo’s Asian Elephants, the exhibit is styled as an Asian village and garden setting. See these majestic creatures and learn about conservation efforts to ensure their survival in the wild. 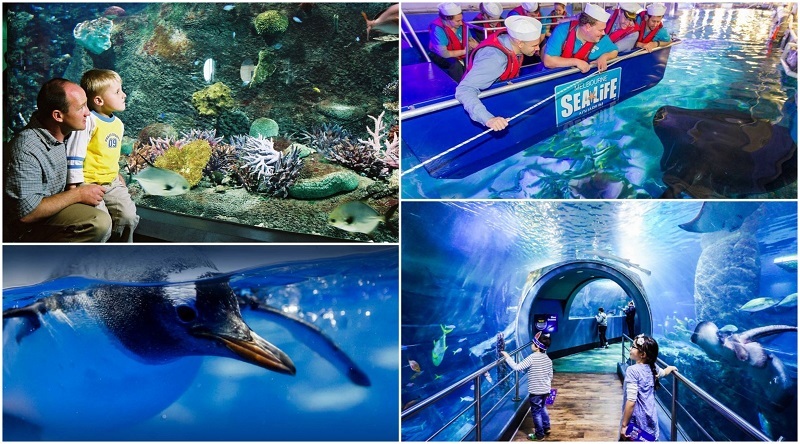 Take an adventure through the depths of the ocean at SEA LIFE Melbourne. Discover all kinds of marine environments from the wintry and wild Antarctic through to the tropical rainforests of northern Queensland. See graceful rays, cheeky penguins and all kinds of other marine life from sharks and sea stars through to jellyfish, seahorses and even a saltwater crocodile! What animals and exhibits will your kids love at SEA LIFE Melbourne Aquarium? Bay of Rays – What better marine environment to explore in Melbourne than Port Phillip Bay? See Fiddler rays and plenty of other local residents who call the bay home. Penguin Playground – Witness the mischievous penguins glide across the snowy ice – some graceful, others not so much! The King and Gentoo penguins also splash and dive in their pool. Pinjarra – See one of Australia’s largest saltwater crocodiles at SEA LIFE Melbourne from two viewing levels and all angles! Interactive Wonder Wall – A new digital installation mimicking life under the seas, say hi to seahorses and watch the clownfish as they flee. 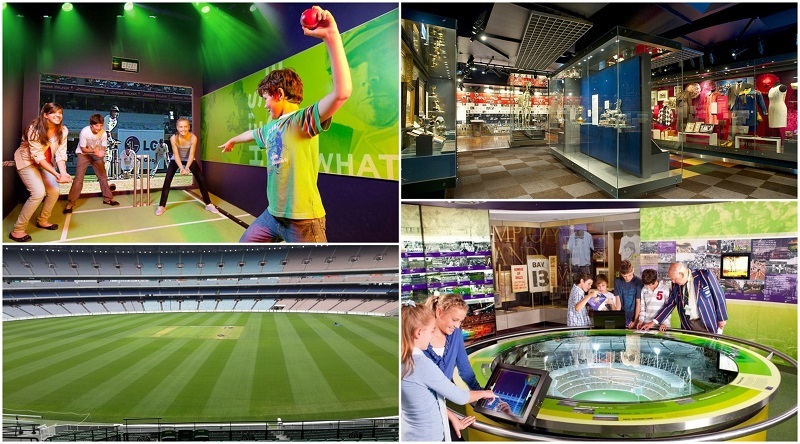 Those who love any kind of sport will love a visit to the National Sports Museum, located at the famous Melbourne Cricket Ground (MCG). With interactive exhibitions, memorabilia and 3D holograms, all ages will be kept busy exploring the displays of Australia’s sporting history and heroes. Australian football, thoroughbred racing, netball, basketball, cycling, tennis and golf – these are just the start of the numerous sports you’ll find more about at the museum. What will your kids enjoy at the National Sports Museum? Game On! Interactive Gallery – Race friends to see who the fastest cyclist is, test your reaction time or see what your goal-kicking is like in Game On! Olympics – A rich collection of Olympic memorabilia and stories of Australia’s participation, see the cauldron used at the 1956 Summer Olympics held in Melbourne, Australia’s first ever champion’s Olympic medals and plenty more. Sport Australia Hall of Fame – Recognising the achievements of Australian athletes across all sports. See the Members and Legends who’ve made Australia proud over the years. The largest stadium in the Southern Hemisphere and Victoria’s spiritual home of sport, the Melbourne Cricket Ground – also known as the MCG or simply the ’G – is a top attraction for visitors to the city. The stadium has a capacity of just over 100,000 and plays host to the AFL Grand Final and Boxing Day Test cricket match. 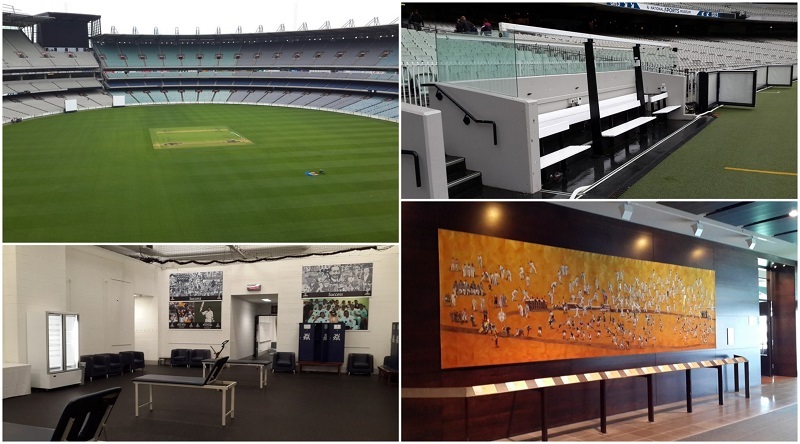 Throughout its history, the MCG has been front and centre for major Australian sporting events including the 1956 Olympic Games and 2006 Commonwealth Games. Take in a footy game or cricket match, visit the National Sports Museum or learn more about the stadium on a guided tour. What will kids enjoy at the MCG? Watch a game – What could be a better way to experience the MCG than an AFL game or cricket match? See what’s on during your visit, grab some tickets and enjoy the atmosphere with thousands of others. National Sports Museum – Learn more about Australia’s sporting history and national heroes at the museum with plenty of memorabilia to see and interactive exhibits to explore. Tours – Go behind the scenes and discover more about this iconic Melbourne landmark on a guided tour. Walk out on the arena, see the world-class facilities and enjoy views from the City Terrace. Melbourne Park has played host to the Australian Open for a number of years and includes Rod Laver Arena, Hisense Arena and Margaret Court Arena. While the Australian Open takes over during January each year, visitors can enjoy the complex from February through to December. Hire a court for a casual game with your kids, get tips from a professional tennis coach or try your hand in the tournaments and social competitions. Visitors can also enjoy guided tours for a behind-the-scenes look at where the action happens during the Australian Open each year. What can kids learn and see on a guided tour? Rod Laver Arena – Set foot on the largest of Melbourne Park’s arenas , where the real action happens. Player Change Rooms – See where the world’s most famous tennis player gear up and prepare themselves for matches. Purpose-built Media Theatrette – Get front and centre where players hold their post-match press conference with media from across the globe. An African adventure just half an hour from Melbourne awaits at Werribee Open Range Zoo, covering 225 hectares of savannah landscape. Animals are allowed to roam the open range landscape and grassy plains. Spot giraffes, zebras and even a rhinoceros or two. There are also monkeys, hippos and gorillas to see up close. Jump on the bus for a Safari Tour or go behind the scenes with one of the Wild Encounters. 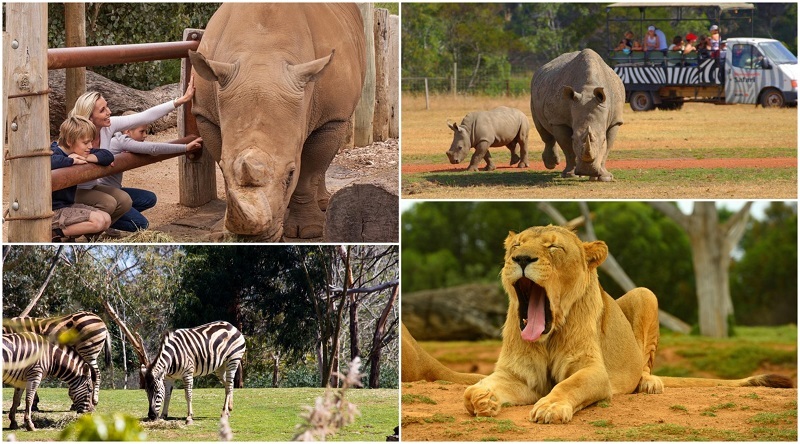 What will your kids love at Werribee Open Range Zoo? Safari Tour – Don’t miss the chance to climb aboard a safari bus and get up close to animals across the landscape with live commentary from experienced guides. Gorillas – One the largest gorilla exhibits in the world can be found on Melbourne’s doorstep where you can witness Western Lowland Gorillas from a number of vantage points. Lions on the Edge – See the lion pride roam through the vast savannah landscape alongside curious meerkats and African Wild Dogs. Kubu River Hippos – A wetland landscape home to the zoo’s hippos, see them splash about in the water or grazing and sunning themselves nearby. Just 30 minutes from Melbourne, explore Werribee Park with more than ten hectares of open space and beautiful gardens. 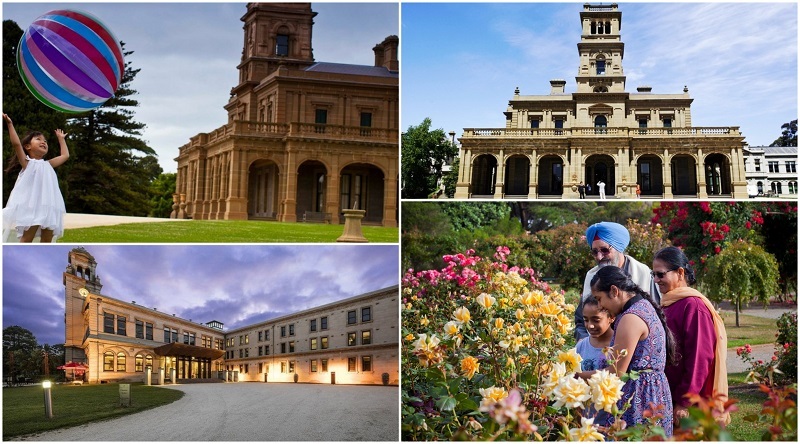 A great day out, take your kids to see the Werribee Mansion from the Victorian era with its Italianate-style architecture, discover the area’s unique pastoral heritage at the farm and homestead, or just let your kids run wildly through the extensive gardens and parkland. What are the best things to see and do at Werribee Park? Formal gardens – Enjoy the serenity throughout ten hectares of manicured gardens and landscape, complete with an ornamental lake, exotic species, Australian natives and a vast lawn area. Tour the Mansion – See the restored Werribee Mansion and discover what life was like for the Chirnside family who were the property’s first owners. Take the audio tour and be guided throughout the Mansion’s 60 rooms spread across several wings. Victoria State Rose Garden – A must see for visitors, the garden is a winner of the prestigious World Federation of Rose Societies Award for Garden Excellence and is lovingly tended by more than 100 volunteers. It’s in bloom from October to May but most splendid from November through to April. Built in the 1800s, the Old Melbourne Gaol is one of the city’s oldest surviving buildings and a top attraction for visitors. See the cells where prisons were held, experience an arrest at the old City Watch House and find out more about infamous bushranger Ned Kelly. More than 130 criminals were hanged on the site between 1842 and 1929 when the gaol was closed. Join in the Watch House experience and see how it all worked. 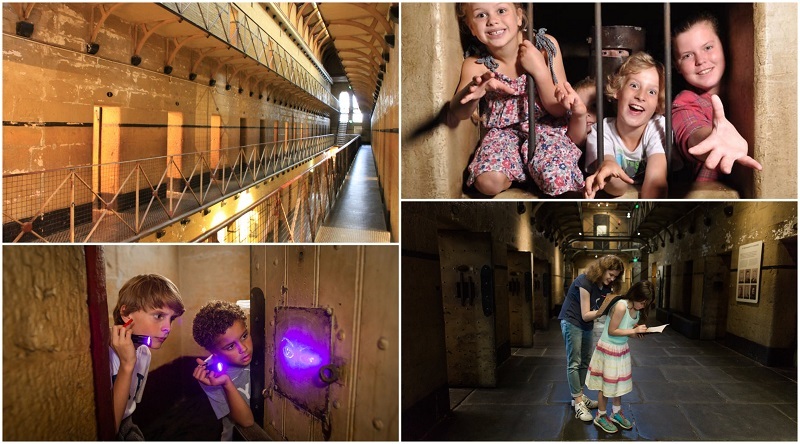 Wander through the gaol’s three levels or take a tour at night and immerse yourself in all kinds of stories. What spooky night tours will your kids enjoy at the Old Melbourne Gaol? Hangman’s Night Tour – Not suitable for small children. Be guided around the gaol by a hangman and see what stories he has to tell. Ghosts? What Ghosts! – Spooky stories are almost a given at a place known for its dark history. Hear tales from both staff and visitors on this night tour. A Night in the Watch House – An immersive experience in the original cell block, you’ll be thrown into the criminal world of the City Watch House to learn about characters including gangster Squizzy Taylor and Chopper Read. Don’t miss the highest viewing platform in the entire Southern Hemisphere – Eureka Skydeck 88 – located in Melbourne’s Southbank precinct. Take in amazing views over the city by day or night. You’ll be able to spot iconic Melbourne locations including the MCG and Port Phillip Bay, even as far away as the Dandenong Ranges. 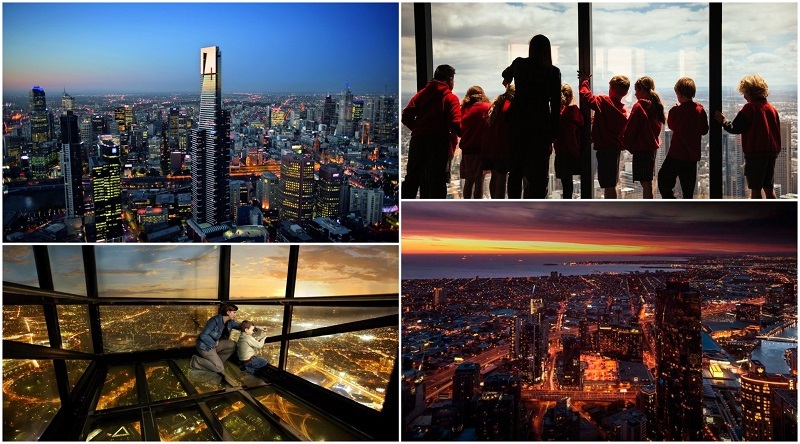 What will your kids enjoy at Eureka Skydeck 88? The Edge – Tackle your fear of height in the glass cube suspended over Melbourne, almost 300 metres above street level. Sights and Sounds – The city’s sights are brought to life on the Skydeck with sounds triggered as visitors move around and look out over the Melbourne landmarks. Even the ceiling mimics an ever-changing sky. The Heist – Your kids can be immersed in a fun audio game, guiding your accomplices around the city as you move around Eureka Skydeck. Eureka Vertigo – Capture your own photo and fool friends and family into thinking you lost balance and were clinging on, 88 stories above the ground with the green screen of VERTIGO. The Ian Potter Foundation Children’s Garden was created to reflect Melbourne’s different seasons with plants, various water features, as well as paths and structures throughout. It’s the perfect space for kids to run, learn, play and discover. An interactive yet educational environment, the garden helps to teach children about the environment and the importance of conservation while also providing intrigue and excitement. There are plenty of garden areas to enjoy including the kitchen garden with a range of both common and rare varieties of fruits, vegetables and herbs, as well as a bamboo forest and Tree Tower sitting high above for climbing. 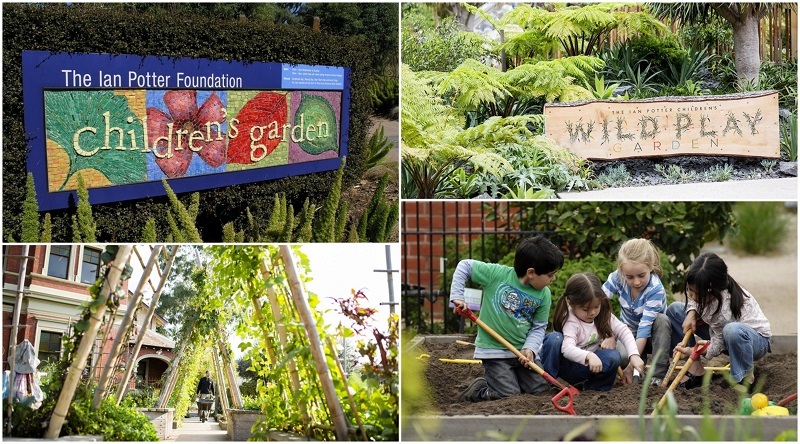 What will the kids enjoy at the Ian Potter Foundation Children’s Garden? Meeting Place – The water spouts will keep kids occupied for hours, just don’t forget your swimmers! Wetland Area – See insects and plants at home in this natural pond environment. Ruin Garden – Be surrounded by amazing rainforest vegetation and let the kids run wild with rocks to scramble over and sand mulch to play and dig in. They can even make a cubby! There’s much to see and do at Melbourne Museum which showcases science and the environment alongside Australia’s social history and Indigenous cultures. See Australia’s greatest racehorse in person, wander through the Forest Gallery – a living, breathing exhibit complete with resident wildlife – or discover how prehistoric animals lived once upon a time. Explore the rich history of Pacific islands through watercraft and other objects, as well as Melbourne’s own unique history with the people and events which have shaped the city. 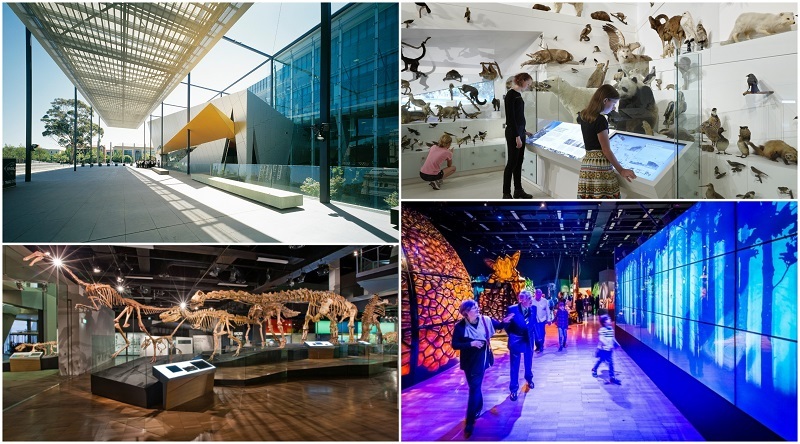 What will your kids learn at Melbourne Museum? Wild – Showcasing more than 600 specimens from the museum’s collection, there are birds, reptiles, mammals and amphibians including many of Victoria’s own wildlife. Dinosaur Walk – Learn all about prehistoric historic animals as you walk around, under and through 17 skeletons including dinosaurs, pterosaurs and Australian megafauna. Phar Lap – The most popular exhibit, Phar Lap was Australia’s greatest racehorse. See Phar Lap, objects from his life and tributes after his death. 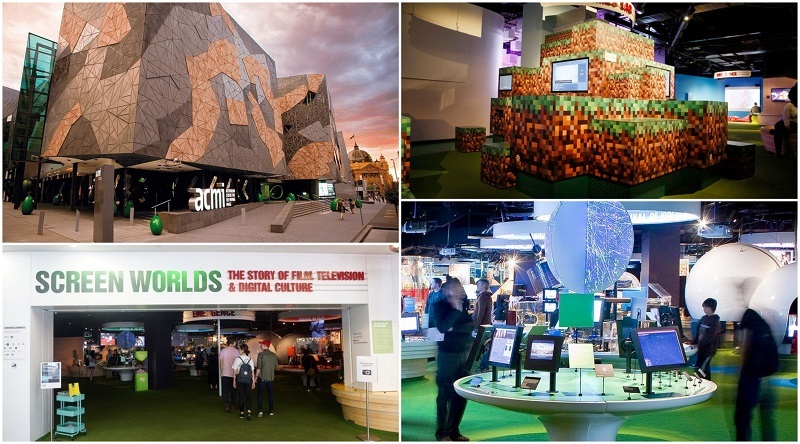 Located in the heart of Melbourne in Federation Square, the Australian Centre for the Moving Image (ACMI) allows a look into Australia’s cinematic past and its exciting future in computer games and digital art. ACMI plays host to a diverse range of events throughout the year including talks, workshops, festivals and exhibitions. It is also home to a free permanent exhibition showcasing the journey of moving image throughout time and how is has been both created and received in Australia. What can kids see at the Australian Centre for the Moving Image (ACMI)? Exhibitions – ACMI plays host to both free and ticketed exhibitions. Some are permanent while others are temporary and only on display for a limited time. Cinemas – See Australian classics, film festivals and various programs throughout the year. Talks + Live Events – Learn from experts and industry creatives at a talk or event. 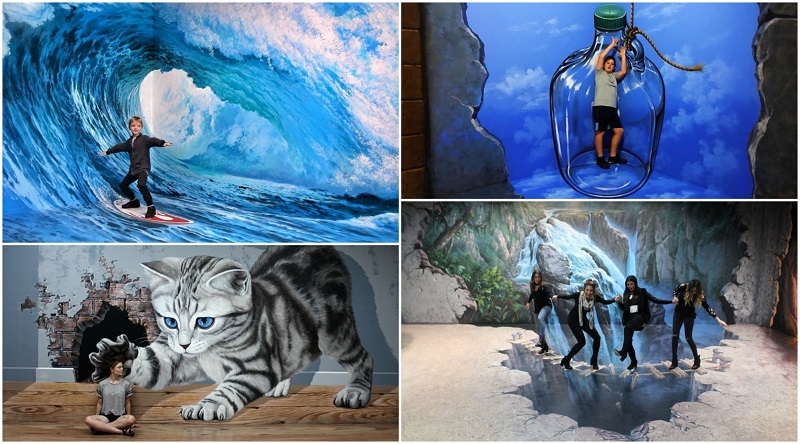 Like nothing you’ve seen before, ArtVo is the first immersive art gallery – sometimes called a ‘trick art’ gallery in Australia. Visitors can wander through the 11 zones, each featuring a different theme, and are encourage to interact with the works including touching and photographing themselves as part of the experience. More than 100 hand painted artworks are on the walls and floors within zones such as Fantasia, Dimensional Dreams and Aussie Pride. What kind of art will kids love at ArtVo? Global icons – The World Tour zone features iconic places from across the globe including the Sydney Opera House, Taj Mahal, and even a scene from Venice with a gondola. Animals everywhere – There are a few zones featuring animals at ArtVo including the Jungle Safari, Australiana and Aquatic Adventure. Even the classics – Within the Classic Crescent zone, visitors will find painting inspired by world famous works from Leonardo da Vinci’s Mona Lisa, to the The Birth of Venus by Sandro Botticelli and Le Fifre by Édouard Manet. Families with kids are set for hours of fun at the LEGOLAND Discovery Centre Melbourne. Children can build and construct all kinds of buildings, animals, cars and other vehicles. There are even farm animals and a LEGO City Soft Play area for younger kids to enjoy. It’s the ultimate indoor LEGO playground so it doesn’t matter what the weather is like outside, you’ll have fun no matter what! 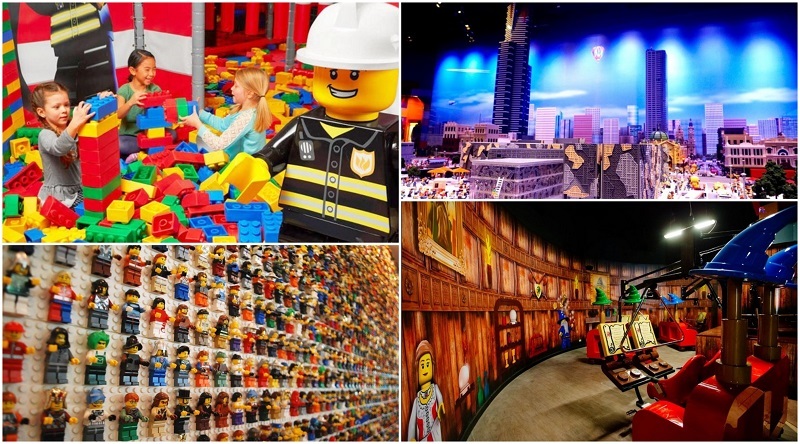 What activities can kids enjoy at LEGOLAND Discovery Centre? Miniland – An interactive Lego city made from more than 1.5 million bricks! LEGO 4D Cinema – An experience for everyone, movies are screened throughout the day. Witness the movies come to life in 3D then into 4D with rain, wind, even a dash of snow! Kingdom Quest – Take a ride on your chariot and rescue the captured princess, dodging trolls and skeletons along the way. Lego Racers: Build & Test – Can you build a faster Lego racing car than your family and friends? Go head-to-head on the racing track – ready, set, GO! Located beneath the West Gate Bridge, Scienceworks has been providing a place for young people to play with science since 1992. Feed curious minds and encourage a love of science and a yearning to understand the world we live in with immersive and interactive exhibitions, a walk among gigantic machinery and shows featuring the night sky and lightning! 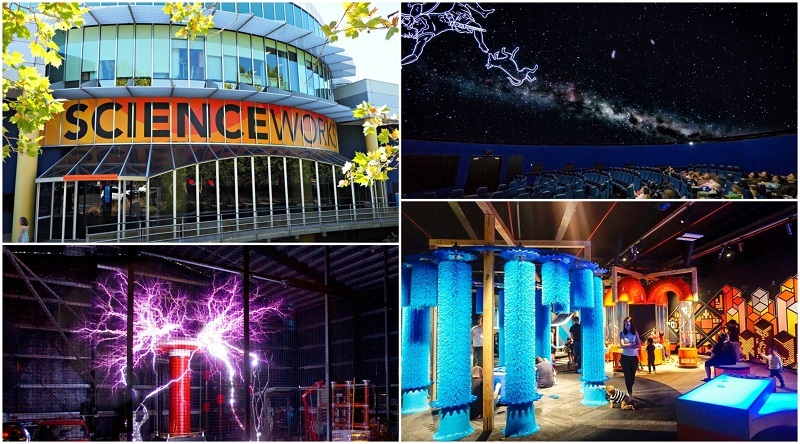 What will kids love at Scienceworks? Melbourne Planetarium – Be educated and entertained by shows giving you an astronomical experience at the Melbourne Planetarium, each followed by a live presentation on the night sky and what can be seen. Lightning Room – You’ll be amazed by this electrifying 30 minute show with the highlight a giant Tesla coil producing three metre lightning bolts. Shop – Encourage a love of science with a volcano kit, telescope or even crystals to grow at home. There are also plenty of books, puzzles and other educational yet engaging gifts. Whether by day or night, take in the best views of Melbourne including the busy city, port and stunning nearby gardens from the Melbourne Star Observation Wheel. Those lucky enough to enjoy a clear day can even see the Dandenong Ranges in the distance. 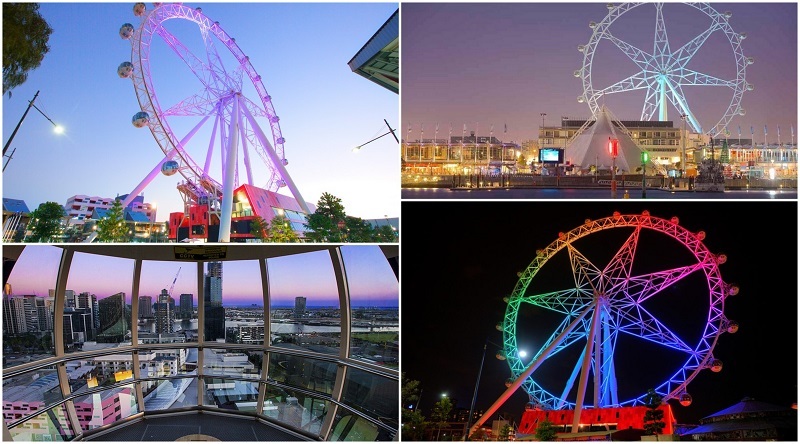 It is the only giant observation wheel in the Southern Hemisphere, forty storeys high and boasting 21 spacious cabins, each enjoying 360 degree views and audio commentary about the landmarks you can spot around Melbourne as the wheel turns. What will kids enjoy about Melbourne Star Observation Wheel? Day or night rides – Take your kids to ride the Melbourne Star during the day or at night. There is even a Sights & Lights package for those who want to do both. Storytime – Great for kids and families, the little ones will be entertained with stories, games and songs throughout the ride. 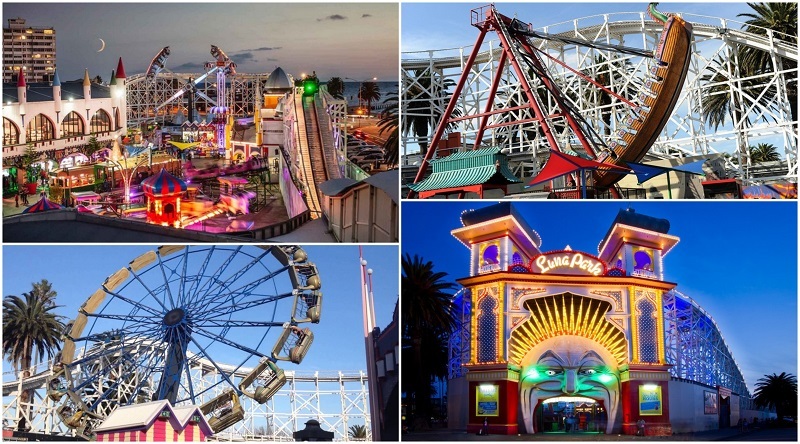 Located in St Kilda and overlooking Port Phillip Bay, Luna Park has been bringing fun to Melbourne for more than 100 years. The most famous attraction is the park’s wooden roller coaster – The Great Scenic Railway – which should not be missed. There’s also the stunning Carousel, haunted Ghost Train, and rides to get your adrenalin pumping like the Power Surge and Pharaoh’s Curse. Make a day of it for all ages – there are rides just for the kids too! What are the best rides and attractions at Luna Park? 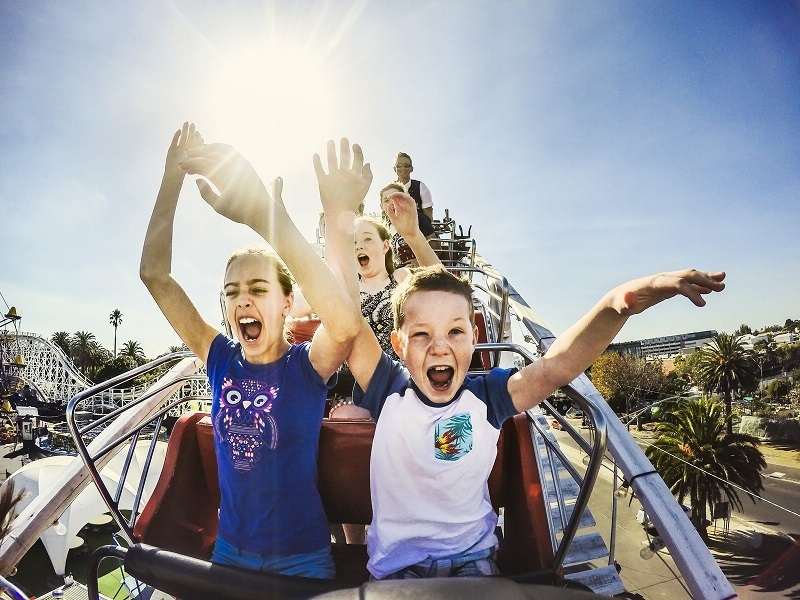 The Great Scenic Railway – Don’t miss a ride on the world’s oldest continually operating roller coaster – it’ll thrill with plenty of dips and turns as well as fabulous bay views! Twin Dragon – Swinging up and back, this might be the one to miss for those who suffer seasickness, but is great fun for all who dare. Ghost Train – Do you dare ride the haunted Ghost Train as it winds its way past spine-tingling ghosts and ghouls? Carousel – You simply can’t miss a ride on the Carousel when visiting Luna Park, the beautifully decorated ride has 68 hand-painted horses and chariots. We hope that this list will help you keep your little ones entertained and enjoy some good family fun in Melbourne! Be sure to let us know if you check any of these spots out, and if you have any other recommendations of kid-friendly things to do in the city, please leave a comment and tell us about it!